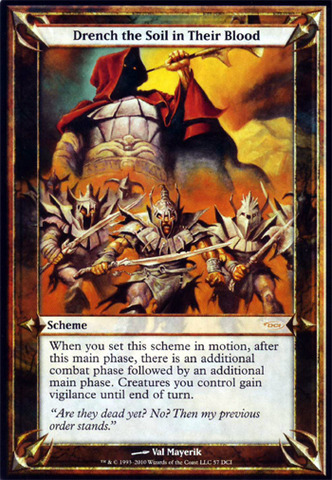 Schemes are used in Archenemy to put evil plots into motion. 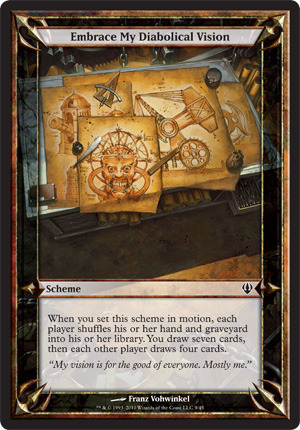 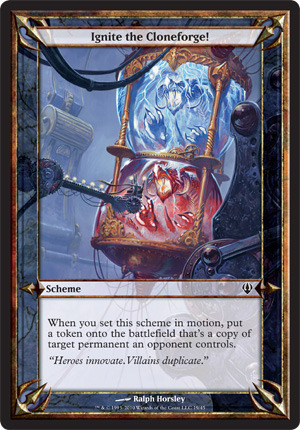 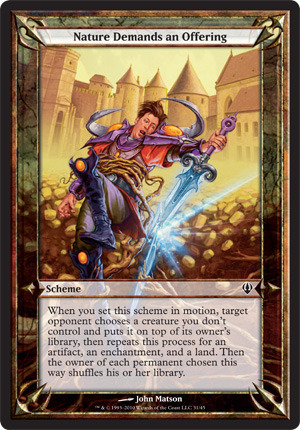 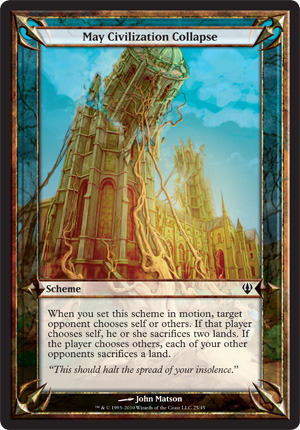 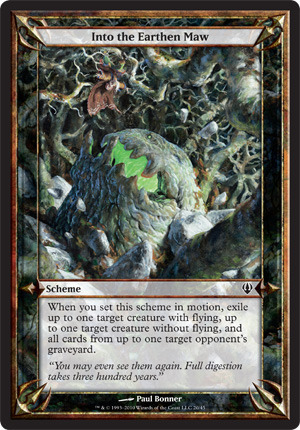 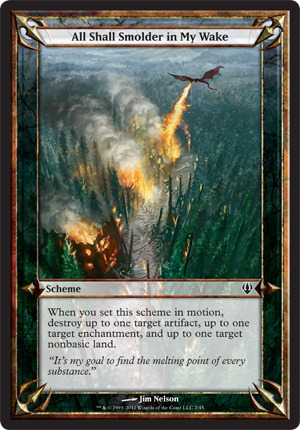 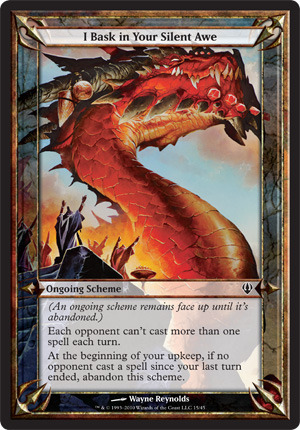 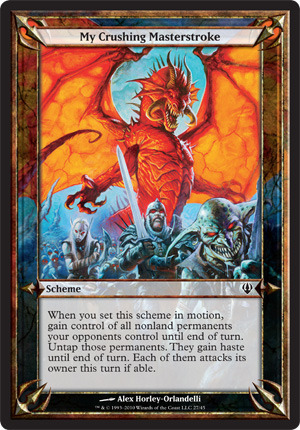 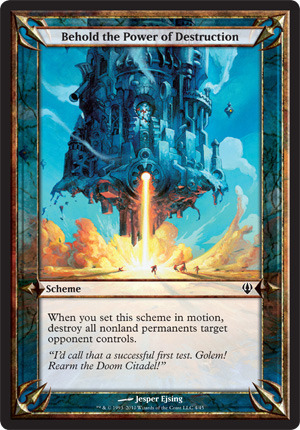 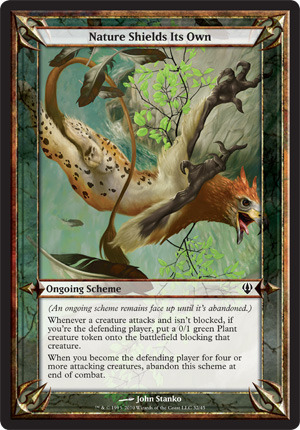 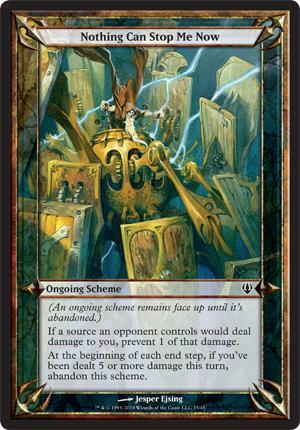 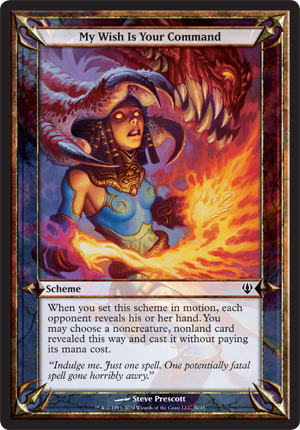 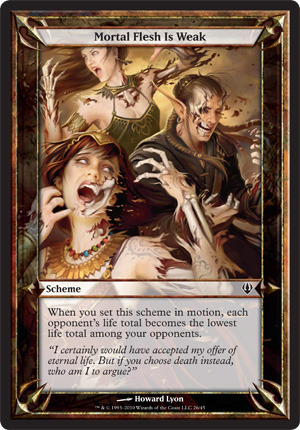 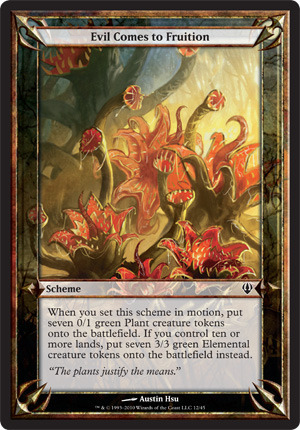 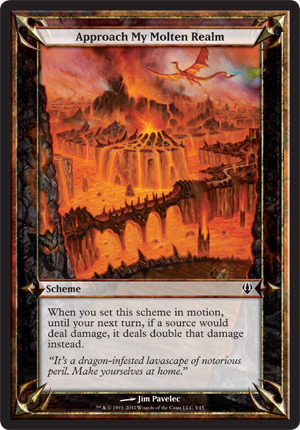 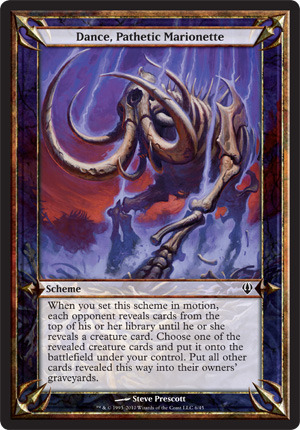 Scheme cards are not permanents. 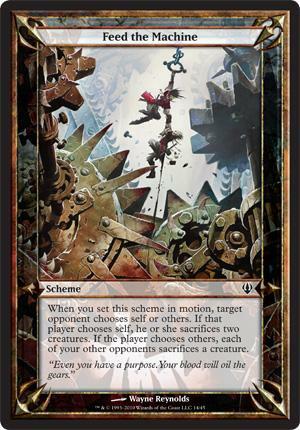 The Archenemy sets in motion the top card of his or her scheme deck at the beginning of the first main phase of his or her turn, meaning to turn it face up. 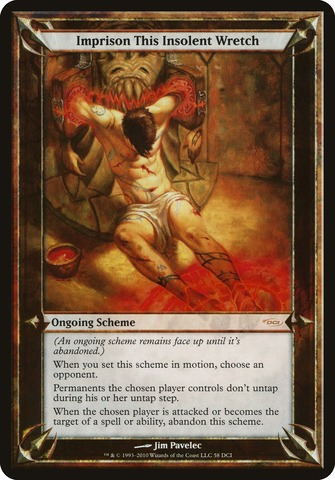 Schemes may or may not have the supertype Ongoing. 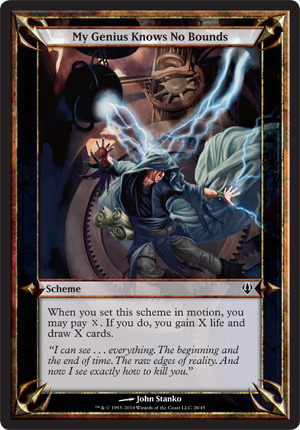 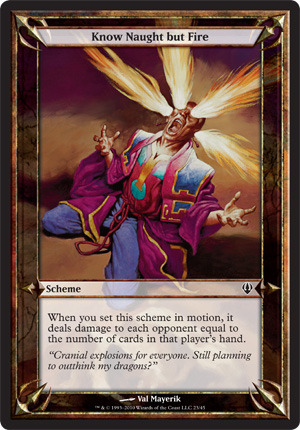 A non-ongoing scheme has a triggered ability that reads "When you set this scheme in motion, [effect]." 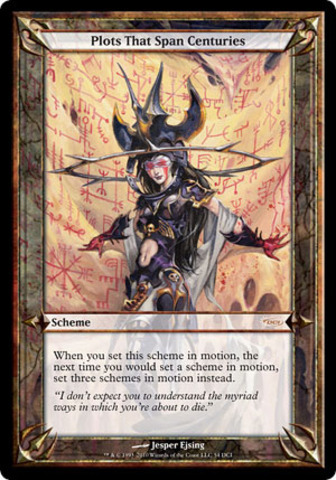 After resolving this ability, it is turned face down and put on the bottom of the scheme deck. 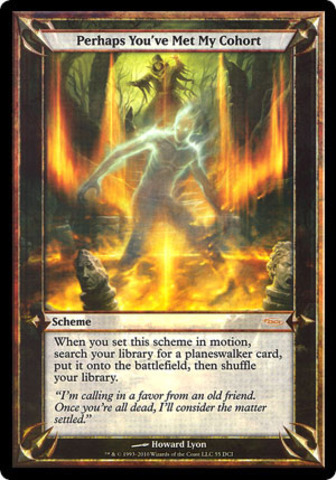 An ongoing scheme has abilities, and stays face up and in effect, rather like an enchantment; but it also has a triggered ability that forces the Archenemy to abandon it, meaning to turn it face down and put it on the bottom of the scheme deck. 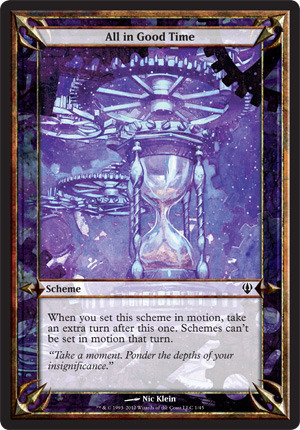 Only one scheme can be in motion at a time, so an ongoing scheme prevents non-ongoing schemes from being set in motion.